Balancing a professional photography career and one’s own business leaves very little room for experimentation. When deadlines and clients need your attention, it’s easy to lose sight of the creativity and curiosity that inspired you to pick up a camera in the first place. Vietnam-based photographer Justin Mott attributes much of his professional success to the momentum he builds from his personal projects. The first one that propelled Justin in the direction he’s travelled in for the past decade was a photojournalism study covering victims suffering from the devastating effects of Agent Orange. Through a Vietnamese friend, Justin gained access to an orphanage that cares for children who suffer from a broad range of toxic chemical-related illnesses, including everything from organ diseases, to physical abnormalities and severe mental impairments. Inspired by the work of Welsh Photographer Philip Jones Griffiths and moved by the plight of the young children he encountered, Justin used his photography to learn more about their experiences and shine a light on their lives. The images that Justin captured led to several accolades, including recognition from the Marty Forscher Award for humanitarian photography and acceptance into the prestigious Eddie Adams Workshop. That personal project turned out to be the springboard that effectively propelled Justin from a skilled amateur to a professional photographer. Building on those early successes, Justin established himself in Vietnam and set up his own commercial photography and video production business within destination wedding photography. He is also one of the host judges on the History Channel’s Photo Face-Off in Asia, which he’s been appearing on for four years now. Of course, every photographer is going to experience a unique journey and transition when turning professional, but the point is, Justin found that taking a risk and pursuing a project for himself was the catalyst for his career. Now, between his commercial, TV work and wedding shoots, Justin is also dedicating some of his time to his “As Above, So Below” project, an ongoing love letter to Vietnam. But having lived away from his home country for over ten years, the American photographer has decided to begin another personal project – exploring the landscape and characters of Block Island, where he and his father grew up. Speaking about his decision to look backwards for his next step, Justin said, “At the beginning of your career, you’re trying to decide what’s going to bring in work, what’s going to get you paid. I’m 40 this year, so at this stage, I’m trying to look at what I can gain personally. The story of Block Island is about my history." Astonishingly, Justin has never worked in the United States; with this upcoming project, he plans to test himself, working in locations and environments he hasn’t taken professional pictures in before. He plans to explore the open spaces and quiet heroes of the small community in his father’s hometown. Justin Mott will be returning to the US in winter 2018. You can keep up with his current projects and work by subscribing to his blog and following him on Instagram at @askmott. Commercial photographer Toshi Oku has perfected the art of bringing luxurious automobiles to life through photography and video. 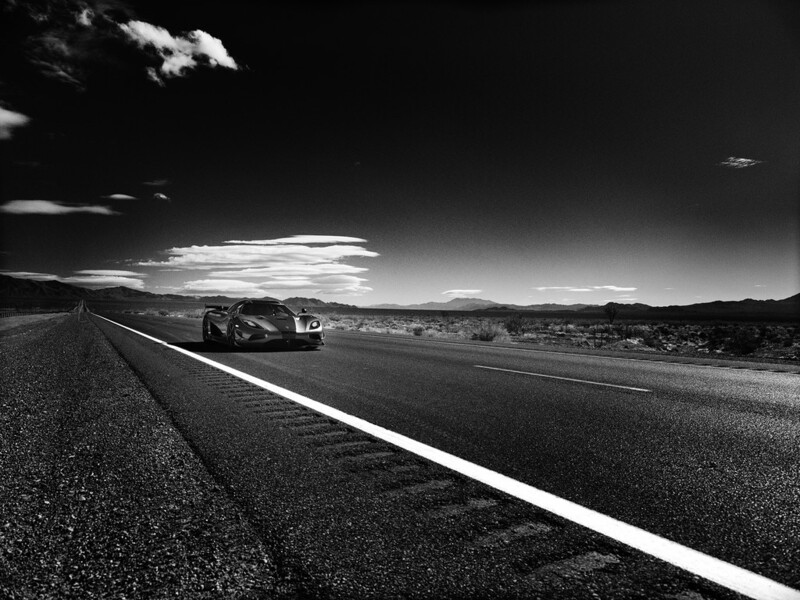 When offered the chance to photograph the Koenigsegg Agera RS during an attempt to break the land speed record, Toshi jumped at the offer.